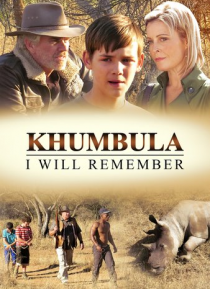 Khumbula is an African Adventure about a boy Jamie visiting his father on a game farm in South Africa. James (Jamie's dad) works as a Game Warden at a local Ranch where they have lots of challenges with Game Poachers and trying to keep the animals safe. His friends invite him to join them on a camp for boy scouts and soon Jamie is all caught up in the excitement of friends and fun in the bushveld.… Circumstances changes drastically when they are accidentally left behind in the bush.